Brief Synopsis – In the 3rd Riddick movie, he must try to find a way to get off a desolate planet while being chased by 2 warring bands of bounty hunters. My Take on it – This movie is the kind of movie you can watch when you just want to sit back and watch a movie that requires no thinking at all. The plot is very simple; Riddick, marooned on a deserted planet must find a way to get off the planet while dealing with 11 mercenaries and the indigenous animal life. The first 15 minutes or so is like a sci-fi “When animals attacks” which even-though the special effects aren’t done so well, we get an idea as to what dangers lie ahead for Riddick for when he will need to deal with them later-on also. 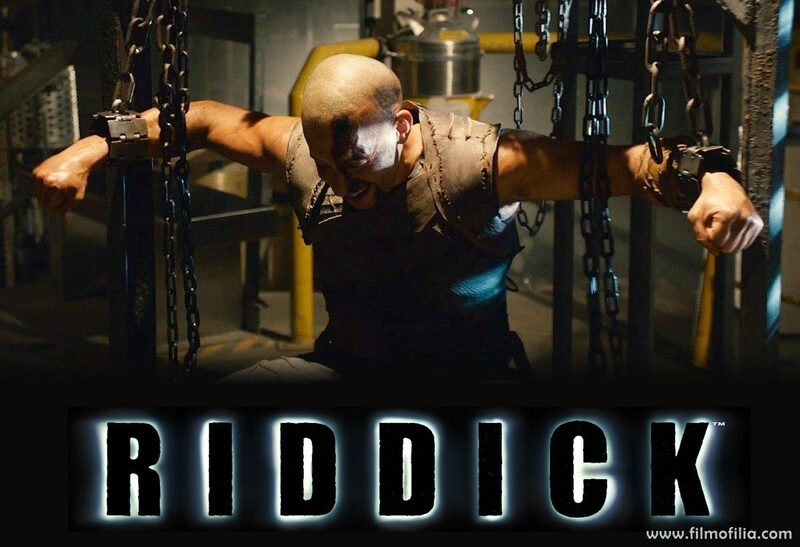 After that we get a typical Riddick movie where he ends up fighting everyone and anyone and is always smarter and more powerful in every situation. I didn’t expect much going in and am glad for that since I didn’t take much going out except typical action “lines” and “deaths”. Pitch Black (2000) still remains my favorite in this trilogy. I hope Vin Diesel stops while he’s still somewhat ahead. Bottom Line – Not as good as Pitch Black (2000), but still an interesting addition to the canon of Riddick.